The Multi-media team is the driving force behind the entire series of curricular content provided by IYCWorld, be it in the Classrooms or at Home. Multimedia team combines educational text, sound and motion/video. The team provides organized approach to the design, development of educational content multimedia. Team is combination of graphic designers. Visual concept developers who clearly present content in a way that maximizes end user’s (students) understanding of the concept. Over the last 5 years, the team has painstakingly and conscientiously converted each and every chapter of each and every subject into the animated format (for the entire K-12 segment) that is stimulating and appealing to target audience. Our technology team is the backbone of our unique customization process for each and every one of our member schools. A bunch of go-getters, the 'techies' constantly work against deadlines, innovating and ideating to bring out the best solutions. It is to their credit that the technology team has always remained student-centric in their efforts. Our goal is to ensure that our clients are provided with the absolute best technology. Our team is passionate about technology and we enable our clients to become high-performance businesses, and consistently delivering value beyond expectations. We believe in Engaging, retaining and developing the talent to reach their potential. We promote teamwork in a mutually supportive environment with a “can-do” attitude. We Honour our commitments and maintain accountability for our actions (successes and failures). Consulting is the heart of our business domain .The consulting team is the face of IYCWorld for our member schools, and therefore a lot of stress goes into the grooming of this team, not just in the technological aspects of the products but in communication skills as well. They are groomed in logical reasoning, leadership qualities, interpersonal communication skills, and ability to work with others. They collaborate with school team to take up issues challenging school’s business, delve deeper to solve these challenges. Consultants have deep understanding of the complex problems (faced by the schools) from diverse perspectives. As a face of our company their role is varying and vigorous. The team is truly a mixed bag, with Computer Engineers, Arts Graduates, former teachers and even an ex-Army Officer. Each member of the team brings his or her own skills-set to the table, with the ultimate aim of implementing the best and on schedule. The R&D is a small, dedicated team of specialists in various aspects of E-education, with the responsibility of understanding and creating what every member school wants, but is as yet not a part of our Products. This team stays away from daily operations and concentrates solely on researching specific issues and developing modules to address them. BD in IYCWorld is handled by the most seasoned of its campaigners, simply because the Company believes in promising what it can deliver. To qualify as a member of the Business Development team, you have to first understand education, and then the products of IYCWorld. It is because we understand, that when you are dealing with School education you cannot over-promise and under-deliver. Team has school education domain knowledge, networking skills, appreciation of school’s need, necessary communication and presentation skills. An emerging area of action (and political activism) to seek policy changes and reform in the school education sector; seeking a far greater liberalisation/innovation on the 'input side' of education and far tighter control on the output side. Galvanising education and support to parents on the historically critical role of quality of parenting for success in school. Harnessing the leading edge research in English language and math education and innovative overall development resources as well as appropriate multi-platform technology solutions are leading us to prod in two directions: a. Liberal schools - schools for the children well educated families (III+ generation learners) b. Community schools - highest quality schools at affordable costs, typically riding over the government school structure. The two schools will be different in primary years, somewhat overlapping in middle years and similar in the secondary years and ahead. Krishan Tikoo 62 hails from Kashmir. 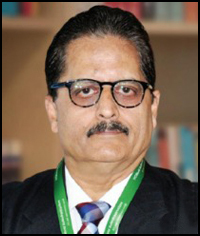 Having done his schooling from Kashmir, Krishan graduated from Birla Institute of Technology Mesra Ranchi in 1975 majoring in Electronics and telecommunication engineering. Krishan has professional career spanning over 25 years with leading joint venture multinational organizations in diverse fields of consumer electronics, process control instrumentation, Power projects, office automation solutions, and paper industry. His last assignment was as Director manufacturing and technical operations in manufacturing operations of US based International Paper joint venture in Mumbai India. IYCWorld provides customized and integrated IT led solutions and learning resources to K-12 educational institutions as an application service provider (software as service) pay for use service. Krishan is married and has two children. 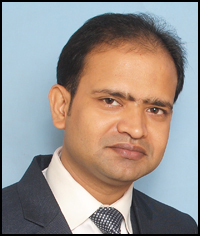 Ajai Kumar Agrawal is Director at IYCWorld and co-founded the Company in the year 2001. Ajai not only provides astute guidance on the IYCWorld’s corporate planning and management decisions but also plays a key role in defining IYCWorld's growth plans. Ajai started his career with TELCO and held several key management positions in various MNCs in the areas of project management and operations excellence. An avid reader, he keeps himself abreast with the latest developments in the IT industry. What’s more, his entrepreneurial flair for technology enabled him to contribute towards national growth through initiatives on rural development in India. Wedded to the dream of empowering educational institutions, processes and resources to guarantee overall development of every child, without exception and globally, he remains hyper excited about the unprecedented opportunity of living in a world of 7 billion truly educated people! 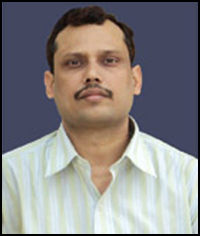 He is a unique school educational reformist having developed interventions for the entire spectrum of school education issues such as books on education; careers; author of world's first concept-based curricular books of math, science, social sciences; school leadership and teacher trainings; parent workshops; technology. Educated at the best institution in India and abroad (Jadavpur, IIT D, INSEAD) andhaving worked with best corporates in India and abroad (IMT G, Olivetti, ModiCorp, Citibank), Sandeep is among the pioneering few in the world and the first Indian to pen a book about Internet before the first dotcom burst, 2000, ('Embracing the Net', Financial Times, UK) and subsequently wrote the world's first book on e-governance (Government@Net, 2001, Sage, India) and coined 'innovation as strategy' in the book 'The bright stuff' (Prentice Hall, USA, 2002). He leads a rather 'unconventional' life and a highly inspiring communicator. He is seeding alternate political movement, including electoral politics, focused exclusively on universal quality education, world-class community health, micro-enterprise and environment. A co-founder, she leads the curricular content team and personally writes the science content. A very widely read person, she is a discoverer and loves writing for children. Perhaps the more interesting introduction of her credentials as an educational professional is that she 'liberally educated' her only child - now 17. She vehemently denies any semblance with home schooling or home education, she may actually have given the world a new model of education - liberally educating children 'as if they are gifted' and nurturing all their god-gifted intelligences till the age of 18. Incidentally, Shreya, her daughter secured 5 A* and 2 A (89, 87) in IGCSE's ICE exams 2014 as a private student. She holds Masters in Nutrition and Food Technology from the leading Avinashlingam University, Coimbatore. She had a stint as a trainee journalist with UNI. A customer focused, result oriented professional, recognized for taking major initiatives, adapting to rapidly changing environments and resolving mission critical issues to ensure bottom line success. Extensive experience in leading operations for Technology and Application Development with diverse range of industries. Successful in leading cross-functional teams in architectural designs, development and deployment of many products across the globe. 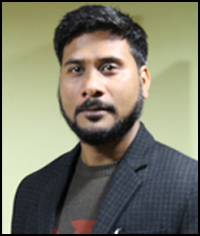 He has in-depth experience in multi-tier application design and development, Service-Oriented-Architecture, mobile and Internet based technologies, and methodologies. 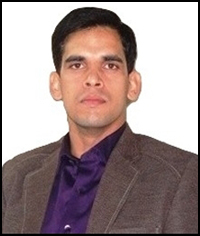 Rakesh is a certified Project Management Professional (PMP) and a Microsoft Certified Professional Developer. 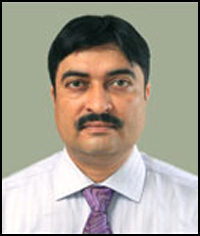 Virendra is the defacto head of operations at our Delhi headquarter, supervising technology, consulting, finance. Starting his career with IYCWorld 14 years ago, he has been involved in the development of all the products and platforms. He has worked on the architecture of the Education ERP from the very beginning beginning and personally led the administrative process automation in schools. He is a commerce graduate and a qualified IT professional from NIIT. With all modesty, the quartet - Rakesh, Mukul, Abhishek and Virendra - is the best team in the country on educational technologies - academic as well as administrative. Indeed, the four of them have backended, and often frontended too, the design, coding, testing, implementation and continuous improvement in our technology platform. 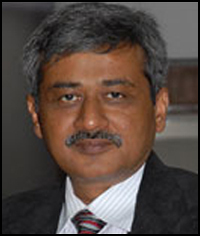 He has successfully executed numerous projects in education sector on multiple technologies. He is the principal innovator and driver of quality development processes, management of technology development cycle and product development. He has been instrumental in the design and development of one of the most powerful open source compliant Education ERP solutions. He would be among the best technology professionals in the design and development of academic processes for schools. A graduate of Gorakhpur University (U.P. 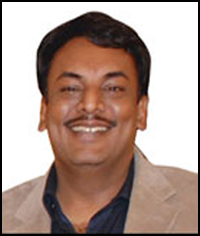 ), he is a qualified IT professional from NIIT & certified Oracle 9I professional from Oracle. 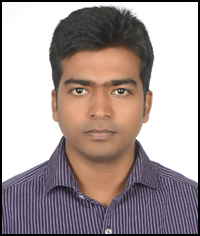 Prior to joining IYCWorld, in 2001, Abhishek had spent more than 2 years in Banking software development and support. 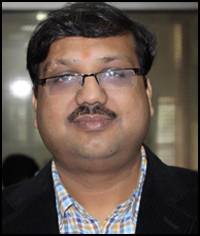 Amit Kumar is a co-founder of our GOOD SCHOOL MOVEMENT and the Mentoring Million Minds programmes. An alumnus of Jaipuria School Kanpur, International School Dar-es-sallam, and BVM Nainital, Amit graduated in Hotel and Business Administration from the prestigious WGSHA. 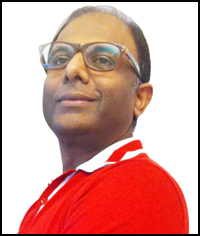 An entrepreneur by heart, Amit has worked in the domain of Public Relation and Marketing in industries such as Travel & tourism (conceptualized GLOBOTEL 1991-92), Aviation (logistics support for TWI and WORLDTEL for live telecast of cricket 1992-98), Vocational education (NIFD 1999-2005), and Corporate Communications (Akshara Communications 2006-10). Amit has also been conferred with the PRSI National Award for years 2008 & 2009 for his magazine ‘Mustard Magic’. At IYC since 2011, he has been contributing to the PR and Sales & Marketing initiatives and travels extensively on our mission to make schools more effective and Indian graduates more employable. He is responsible for the Middle-East operations of IYCWorld. For the past 7 years, he has been facilitating schools, in India and Middle East Asia. Experienced Project Consultant with a demonstrated history of working in the software industry for the past 9 years. Skilled in ERP Implementations, Requirements Analysis, Data Analysis, Software Design, Project Demonstration and Client Handling (India & Middle East). Strong project management software professional with a Master of Computer Applications (MCA) from Galgotia's. Prior to joining IYCWorld, in 2010, he had spent more than 2 years in MLM software development and support. His career started with IYCWorld 10 years ago (and he says there won't be another company in his life) and he literally climbed his way through up the more responsible roles in the consulting function. He is the most knowledgeable team member of the consulting team and literally knows all about the processes in schools. We never talk about his degrees, literally! Never felt the need. A truly educated person, in head and at heart. An amazing learner, Amit started his career at IYCWorld 8 years ago as a multi-media graphic designer. Working in fairly technology intensive company, he steadily completed his Maters in Computer Applications and crept out of the graphic design team to create the mobile app team. He spent the first one year learning the ropes of technology with the support of the CTO. In the past year and a half he build his team up to 9 and creates wonderful mobile applications in education on Android and IOS platforms. Expectedly, his entire team is self taught and he has already given 3 ex-colleagues a great career headstart in mobile apps industry outside of the company. Shipra has acquired significant change management skills through handholding schools in adoption of technology in academic a well as administrative processes; over the past 8 years she has handheld 5 schools in such transitions. She has an innate gift for understanding people behaviour and develops successful proactive steps in supporting cultural change strategies. Shipra is an MBA (IT) from Sikkim Manipal University after seeking graduation from Delhi University and 3-year GNIIT from NIIT. 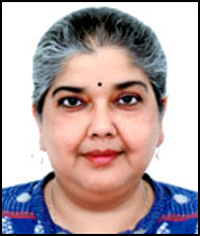 Prior to joining IYCWorld she worked as computer faculty for close to 6 years at a reputed core DPS school in Delhi. She started her career as a Programmer with Techbooks International Pvt Ltd.
Over the past 6 years Chandan has developed a good understanding of academic processes in schools and autonomously handles major change requests or new process developments for client schools. He has development experience over multiple technologies. Chandan graduated as a science major and followed it up with Masters in Computer application from College of Engineering, Roorkee, Uttarakhand.